Exploring macro can open up a world of detail in your photography. Australian Photography’s Mike O’Connor meets Sydney’s very own spiderman, Michael Duncan, to get the low-down on a tiny world just waiting to be discovered. When I visit macro photographer extraordinaire Michael Duncan at Sydney University, he's hanging out in a room full of bees. They're everywhere, landing on the lights and buzzing around the room. He doesn't seem the least bit bothered. It's easy to understand why. 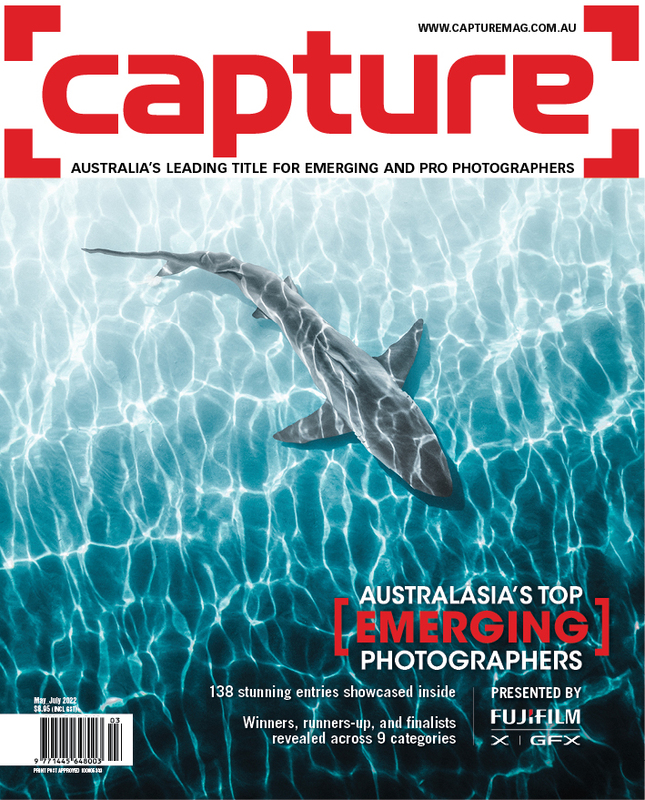 Michael's focus has been taken up with an entirely different subject in recent years—a species unique to Australia that's really got people buzzing—and his photographs are a big part of all the noise. 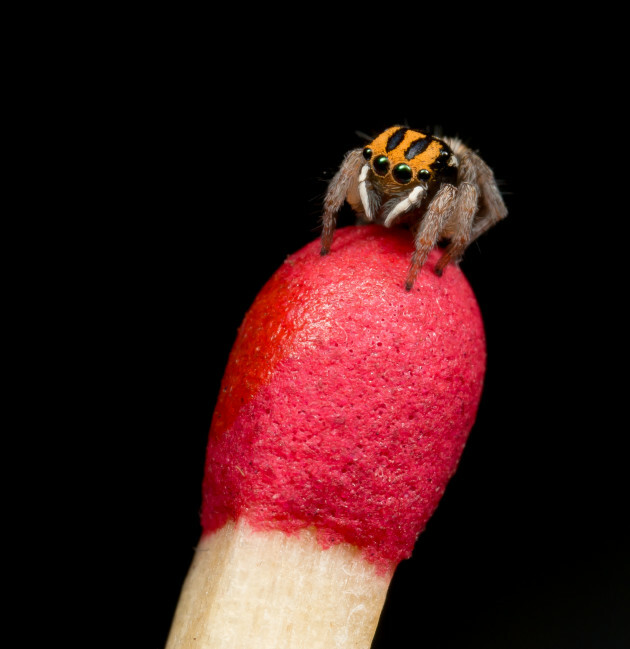 Alongside his ‘Project Maratus’ colleagues and fellow experts Michael Doe and Adam Fletcher, he has spent the last 12 months studying the remarkable habits of peacock spiders. Although records show they were discovered in the late 1800's, it wasn't until 2005 when one was witnessed jumping out onto a bush track that they began getting much attention. The spiders get their name from the beautiful colours displayed by males. To attract a female, the males raise their legs and wiggle their brightly coloured abdomen. If she's suitably impressed, the female will mate with him. It's amazing to watch and from the first time he saw them, Michael was hooked. He knew he had to photograph them. “I'm an amateur photographer really, but I learnt a little about macro photography by taking photographs of reptiles and bees which I did as part of my research work. I knew I wanted to delve into it a bit further so I started with larger jumping spiders before moving to peacock spiders. What I love about macro is the unbelievable detail,” he explains. Want to know what it takes to capture something so small in such incredible detail? Hard work, patience and a little bit of luck. Here's Michael's tips for macro success. And you don't need to spend huge amounts of money either. Michael started shooting spiders with a basic setup comprised of a Tamron 90mm macro lens, Yongnuo flash and a Raynox diopter, a DCR250. The diopter is a simple snap on adaptor, much like a filter, that increases magnification on a lens – on a standard 50mm it will increase magnification by two and a half times. It's also a great low cost way to enter the world of macro photography. Even if you don't want to invest in a dedicated setup, an alternative is to try reverse macro. By using a reversing ring, a small metal ring that has a standard filter thread on one side and a lens mount thread on the other, you can attach a regular prime or zoom lens to your camera backwards and make the most of it's magnification powers. Michael believes the best lens for reverse macro like this is the humble 18-55mm kit lens packaged with most DSLRs, or a nifty 50 – a 50mm prime lens. Both are cheap lenses that can produce outstanding results perfect for web publication and social media. And better still, reverse macro rings can be purchased online for as little as $3 or $4. His current set-up is slightly more refined. He uses a Canon EOS 70D, which he likes for the fold out touchscreen, as well as the benefits that come from a crop sensor. His lens of choice is a Canon MP-E 65mm f/2.8 1-5x Macro lens coupled with the MT-24EX twin macro flash. “It's a pretty unique lens, and has been an absolute game changer for me. It's fully manual, and comes with a pretty steep learning curve – but it allows for pretty incredible shots,” he says. The 5 to 1 macro essentially allows for incredibly close shots. “You could probably take a photo of just the eye of the spider if you wanted to,” he says. An undescribed species. Canon EOS 70D, Canon MP-E 65mm f2.8 lens, 1/100s @ f/11, ISO 100, handheld. Canon MT24EX macro twin light flash, diffused with 8mm packing foam. Ten images stacked in Photoshop. With a species as quirky as peacock spiders, you'll need to spend time getting used to their behaviour if you want to photograph them with any success. I spend an hour carefully trying to get a male (brightly coloured) to display to a female (dull coloured). It involves carefully moving the male close to the female, but not too close as they may not display, likewise if you move them too far away, they probably won't see each other. The perfect arrangement to make the spiders display comes from trial and error. And if you want to photograph it when it happens, you have to make sure you're ready to take the shot at any moment. Peacock spiders are relatively common and according to Michael, are found throughout Australia. “I get messages from all over the world saying 'can I come and find peacock spiders? ', but it's not as easy as it sounds – they live in very specific areas.” Adding to the challenge is peacock spiders are not in colour all year round. “Males change colour after their final moult, and are only in colour for about three months of their lives in Spring,” he explains. Michael reckons you can shoot jumping spiders with just about any gear – it's only when you want to start photographing smaller subjects you might need to consider higher magnification. An undescribed species. Canon EOS 70D, Canon MP-E 65mm f/2.8 lens, handheld. MT24EX macro twin light flash, diffused with 8mm packing foam. Eighteen images stacked in Photoshop. Michael says it's vital that you are calm and relaxed when it comes to photographing moving subjects. If you're not having any luck, have a break, and go away and do something else. “It's happened to me plenty of times, where I know I’m not in the right head space for it – the critical thing is to be patient,” he explains. And like anything you have to have a passion for what you're doing if you're going to get the best results. “People ask me how I have the patience for photographing macro subjects. I can sit there and spend four hours taking photos of one spider to get one stack – but be hugely proud of the photo afterwards,” he says. A 2mm Maratus purcellae on a match head. Canon EOS 70D, Canon MP-E 65mm f2.8 lens, 1/160s @ f/13, ISO 400, single shot. MT24EX macro twin-light flash, diffused with 8mm packing foam. Getting your depth of field right for your subject can be a challenge in macro photography. Part of this is due to the fact that depth of field increments are measured in mere millimetres when up so close. If you do use a wide aperture, for example f/2.8-f/5, it will give you a shallow depth of field. Only a small range of your subject will be in focus, with the foreground and background blurred. If you want to capture all the hairs on a spider in tight focus, you'll need to use a small aperture. As he's progressed, Michael's moved to shooting smaller and smaller apertures, which requires slower shutter speeds to allow sufficient light into the sensor. “All my earlier single shot images were at f/22 to f/30 which were fine for social media, but when enlarged were soft,” he explains. “I then started exploring ways to get greater depth of field while still keeping the image as sharp as possible. 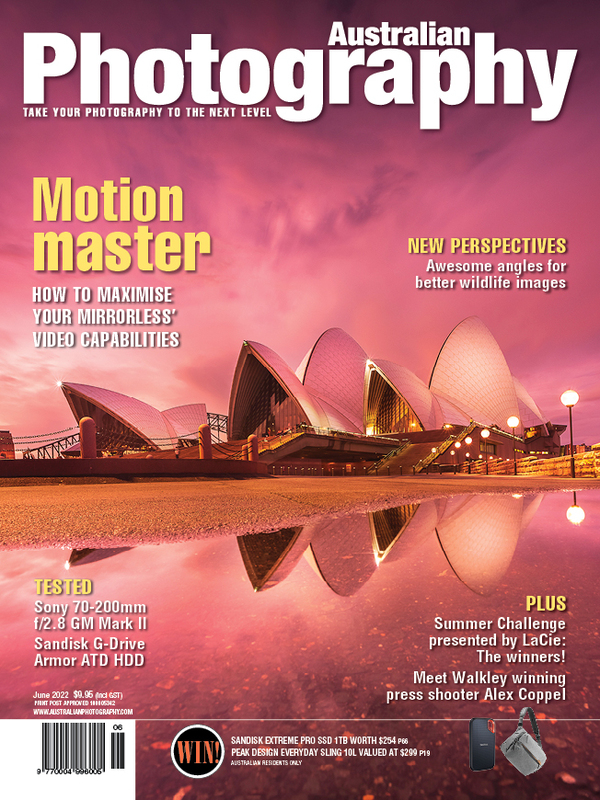 Now I shoot at f/7 to f/11 for sharper images for focus stacking,” he adds. Maratus volans. Canon EOS 70D, Tamron 90mm f2.8 Macro lens coupled with a Raynox DCR-250, 1/80s @ f/20, 250 ISO, single shot, flash. For Michael, focus stacking has brought his macro photography to another level. Focus stacking is a brilliant way to get sharpness throughout your shot – and sharpness is everything in macro photography. The technique involves combining multiple images taken at different focus distances, with the resulting image having a greater depth of field than any of the individual source images. Michael says it was his friends that helped him become better at focus stacking. “The three of us started challenging each other to take better and better stacked shots, and it evolved from there,” he explains. Maratus harrisi. Canon EOS 70D, Canon MP-E 65mm f2.8 lens, 1/160s @ f/8, ISO 100, handheld. MT24EX macro twin light flash, diffused with 8mm packing foam. Images stacked in Photoshop. Keeping your images sharp when hand-holding your camera can be a challenge. Michael suggests bracing against a firm surface, squeeze your arms tight in against your body and holding the end of the lens firmly. “It'll give you the best chance of getting a sharp shot,” he says. Michael explains that regardless of what flash set-up you use, diffusion of your light is the key to high detail in your macro images. “I use packing foam bent over my twin macro flash heads in a concave shape. I have done this with every type of flash I own and the results speak for themselves. You can even do it with your built in “pop up” flash”. Diffusing the light, when the source is so close to your subject, removes harsh blow-outs that can occur in your images. Michael Duncan photographing on his custom diorama, a lazy susan he uses to imitate the spiders habitat and manipulate their positions. Moving your subject indoors can make macro photography easier. Because macro photography is typically more about the subject than the background, Michael prefers to shoot inside in a custom diorama. The one he shows me in his office is simple - a piece of twig and some leaves to imitate the outdoor environment, with the whole setting balanced on a lazy susan. “With the lazy susan it's easy to move the whole diorama if the spiders move,” he explains. If you're going to focus stack, you'll need to get comfortable using post processing software to manage the large numbers of images to be combined. Luckily, the adobe products most photographers use are up to the task. Maratus elephans. Canon EOS 70D, Canon MP-E 65mm f2.8 lens, 1/200s @ f9, ISO 100, handheld. Canon MT24EX macro twin light flash, diffused with 8mm packing foam. 131 images stacked in Photoshop.